Charles Mistele, left, explains how the seating area of Miss America IX has been modified since the boat was built by Gar Wood in 1930. At right is Kirsten Johnson, whose grandmother was Gar Wood’s sister. 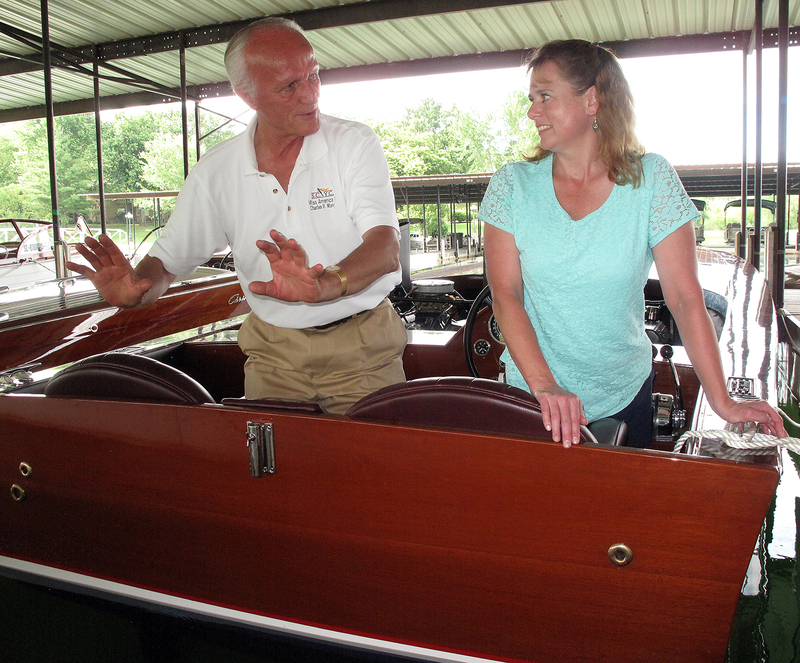 Johnson has been researching her family history for nearly two years, and paid Mistele a visit to learn what she could about her great-uncle’s racing expoits and boat building business. Miss America IX is on display at the ACBS Blue Ridge Chapter’s 27th Annual Lake Chatuge Rendezvous through Sunday, June 8, 2014.